No one has played themselves in a more beautifully ironic fashion this election season than New Jersey governor and hopelessly devoted Bruce Springsteen fan Chris Christie, who has mostly abandoned his post as a vindictive, wildly unpopular political bully to serve as Donald Trump’s (and, by extension, the media’s) personal punching bag. In the latest issue of the New Yorker, Ryan Lizza takes a look at the fraught waffling of the Trump-weary Republican elite, who appear to be slowly coming to the conclusion that their own personal political ambitions are more important than the survival of this great nation. Senator John McCain, who told me last summer that Trump had “fired up the crazies,” now needs Trump’s voters to support his own reëlection in Arizona—a state that Trump won by twenty-two percentage points in the primaries—and has said that he will support him. Marco Rubio, whose last days as a Presidential candidate were spent mocking the size of Trump’s hands and the orange hue of his face, recently apologized for the personal attacks, and said that he would speak on Trump’s behalf at the Convention. 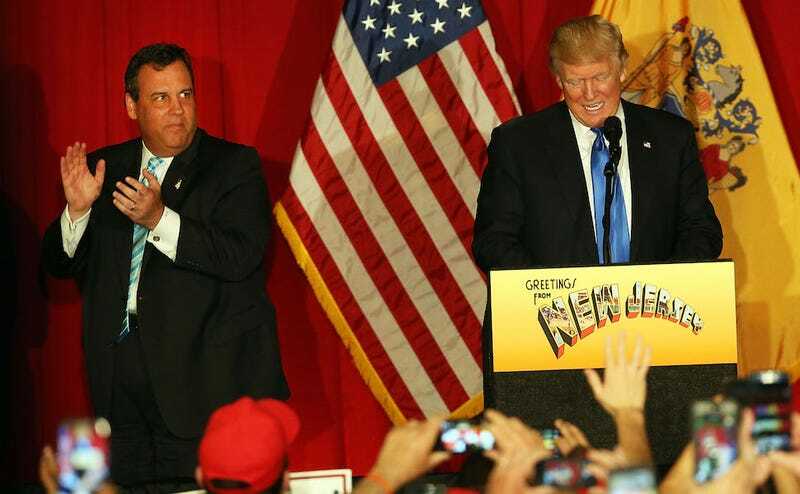 First, Chris Christie had to announce that he was not being “held hostage” by Donald Trump. Then came the umbrella debacle; then, that time when Trump publicly ordered that he stop eating so many oreos. A McDonald’s run is the inevitable next step here—soon, he will be strapped into a padded suit and sent off to Barron Trump’s wing of the penthouse so that the littlest Trump can learn how to throw a punch. Anyway, I am nearly certain that Trump instructed Christie to get himself a yogurt parfait.